Hyperdome Medical Centre is a bulk billing family practice that opened its doors in April 2016. Hyperdome Medical Centre provides an extensive range of services to the local Tuggeranong community and beyond. Their highly trained Doctors work from our seven consulting rooms in conjunction with their full time nurse. The practice is fully equipped to provide comprehensive, quality care to their patients. 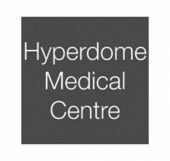 Hyperdome Medical Centre offer a broad range of services including health checks, pap smears, minor procedures, ECG, dermatology, paediatrics, diabetes care, vaccinations, medical assessments and mental health support. There is free undercover parking for up to 2 hours and there is an onsite pathology and pharmacies and allied health services nearby.